Did the muffin boy trudging through London’s dark, dank streets ever curse the hot, buttery wares that forced him outdoors? Perhaps, though the thought of going penniless no doubt bedeviled him more. 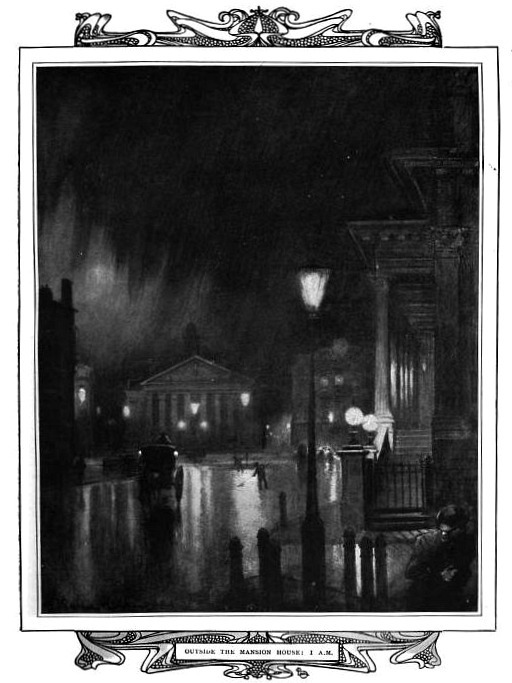 And perhaps as means of consolation his mind would settle on a remark made by Charles Dickens, who found that a cold night did wonders for the streets of London. 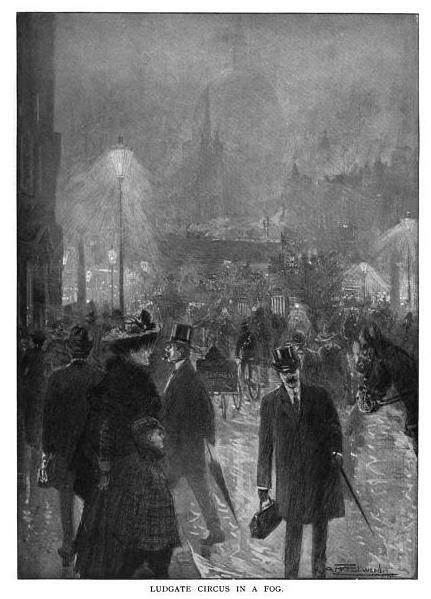 Such wonder-working happened, he wrote, when “just enough damp” fell from the sky to “make the pavement greasy without cleansing it of any of its impurities.” If that falling damp also made the gaslights glow brighter and the small shops that lined the street “more splendid,” then so much the better. That battle went better in the suburbs, good butter or bad. There frowzy housewives hovered expectantly near doorsteps. Once the muffin boy’s approach was certain, they lit the kitchen fire for tea. His muffins they bought by the dozen to cheer their husbands bone-weary after a “dirty walk” home from the docks. Only for the “nine-o-clock beer man” would they open their door again. If a cold damp winter’s evening has you hankering for a warm, buttery snack, and there’s no muffin boy in sight, try one of these recipes for the item in question, which appear in Mrs. Clarke’s Cook Book (1899). Muffins.—Two eggs lightly beaten, one quart of flour, one teaspoonful of salt, three teaspoonfuls of Durkee’s baking-powder, one tablespoonful of melted butter, one pint of milk and two teaspoonfuls of vanilla extract, if liked. Beat up quickly to the consistency of a cake batter; bake in buttered gem-pans in a hot oven. Muffins, No. 2.—One cup of home-made yeast or half of a compressed yeast cake, one pint of sweet milk, two eggs, two tablespoonfuls of melted butter, two tablespoonfuls of sugar. Beat the butter, sugar and eggs well together; then stir in the milk, slightly warmed, and thicken with flour to the consistency of griddle-cakes. When light, bake in muffin-rings or on a griddle. If wanted for tea, the batter should be mixed immediately after breakfast. Muffins should never be cut with a knife, but be pulled open with the fingers. Rice Muffins.—Take one quart of sour milk, three well-beaten eggs, a little salt, a teaspoonful of soda, and enough of rice flour to thicken to a stiff batter. Bake in rings. Hominy Muffins.—Substitute hominy, well cooked and mashed, for the rice, and proceed as above. Bread Muffins.—Cut the crust off four thick slices of bread; put them in a pan and pour on them just enough boiling water to soak them thoroughly. Let them stand an hour, covered; then drain off the water and stir the bread to a smooth paste. Stir in two tablespoonfuls of flour, a half pint of milk, and three well-beaten eggs. Bake to a delicate brown in well-buttered muffin-rings. Graham Muffins.—One quart of Graham flour, two teaspoonfuls of baking-powder, a piece of butter the size of a walnut, one egg, one tablespoonful of sugar, one-half teaspoonful of salt, milk enough to make a batter as thick as for griddle-cakes. Bake in gem-pans or muffin-rings in a hot oven. Corn Muffins.—Mix two cupfuls of corn-meal, two cupfuls of flour, one cupful of sugar, half a cupful of melted butter, two eggs, and one teaspoonful of salt. Dissolve one teaspoonful of soda and two of cream tartar in a little milk, and beat it through. Add milk enough to make a moderately stiff batter, and bake in rings or gem-pans. Graham muffins, I haven't tried it before… Thanks for your ideas!